The Chicago Auto Show kicks off Saturday, February 9th and runs through February 18th. Attendees are in for a spectacular display of what’s new and hot in the world of automobiles. 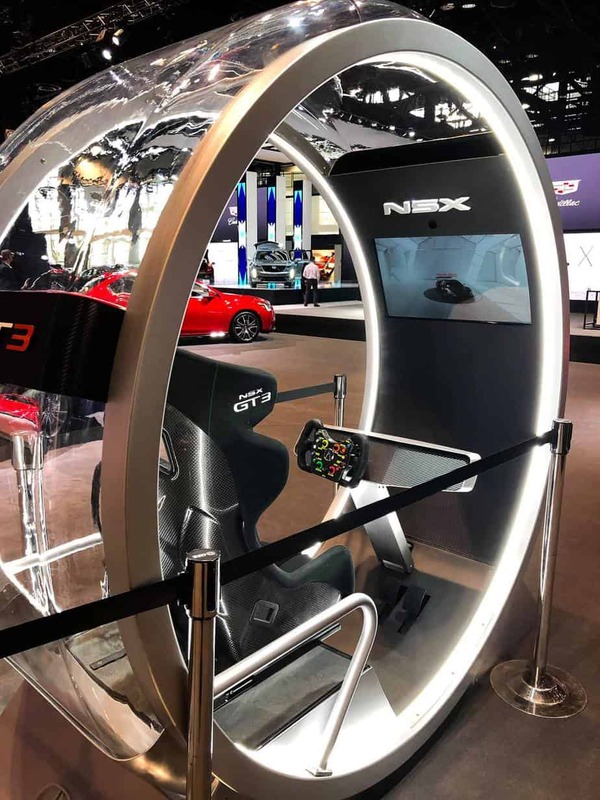 As the largest auto show in the nation, the Chicago Auto Show spans more than 1 million square feet of production, concept and exotic vehicle exhibit space. Throw in engaging interactive displays, music, and live entertainment and you have a recipe for fun times! This year the Chicago Auto Show will host the first indoor Chicago Friday Night Flights, a craft beer sampling event. The affair takes place on Friday, February 15th and features over a dozen local Chicago breweries. Tickets are $30 and include access to the auto show. Considering my tab when the hubs and I go out for beers, that’s a steal! For other special show days and deals, scroll to the bottom of this post. Nearly 1,000 automobiles will be on display during the show. Vehicles include domestic and imported passenger cars, trucks sport utility vehicles, minivans, and concept cars. Additionally, visitors can admire a series of competition, antique, and collector cars. You don’t have to be a car enthusiast knowing all the latest specifications to enjoy the Chicago Auto Show. If you’re someone like me who just appreciates beautiful art and details, the Chicago Auto Show is the place for you. The experience is something the whole family can enjoy! The show runs at McCormick Place from February 9th through the 18th. Tickets are $13 for adults, $7 for seniors aged 62 and older, and $7 for children 7-12. Children 6 and under are free when accompanied by a paying adult family member. I attended the 2-day media preview to catch the news, introductions, and in-depth information on the new vehicles and technologies. Some of the unveilings included the new Range Rover Evoque, “an SUV built for consumers in great cities with challenging weather conditions”, according to CEO Joachim Eberhard, the 2020 Alfa Romeo 4C Spider Italia, and 2020 Kia Sportage. In all nearly 20 vehicles made their debut during the media days. There’s an array of interactive displays to engage with and fun vehicle experiences in addition to the exhibits. Here are a few highlights not to be missed! Guests will find a total of 4 test tracks offered from Jeep, Land Rover, Dodge, and KIA. Children can ride on the test tracks. However, some have minimum height restrictions while others require kids to be at least eight years old. The best track belonged to Jeep. But you have to request the Wrangler, it gives more thrill than the Cherokee. The Land Rover track was a close second. Stop by and peek at the Chevy Silverado built from LEGOS. During the show, there will be a LEGO station for guests to try their hand at building the truck. Who doesn’t love LEGOS?!?! Don’t miss the Toyota racing simulator, it’s a fun, fast, smooth ride. 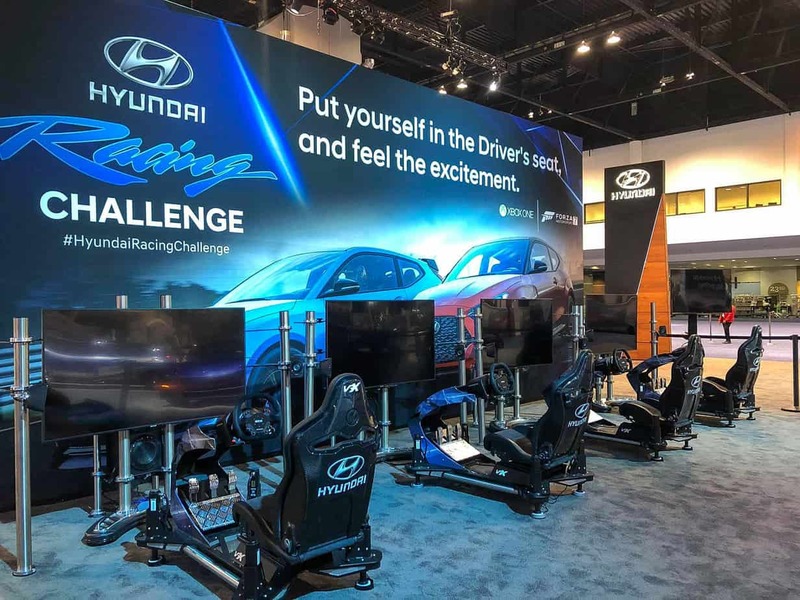 Hyundai and Acura also invite you to put yourself in the driver’s seat with simulated challenges. I crashed and didn’t even finish half the course, yeesh! Speaking of TOYOTA, they bought their A-Game with their interactive demonstrations and photo ops. I spent quite a bit of time playing around in their exhibit area. There are plenty of Instagrammable opportunities so be sure to scope them out! 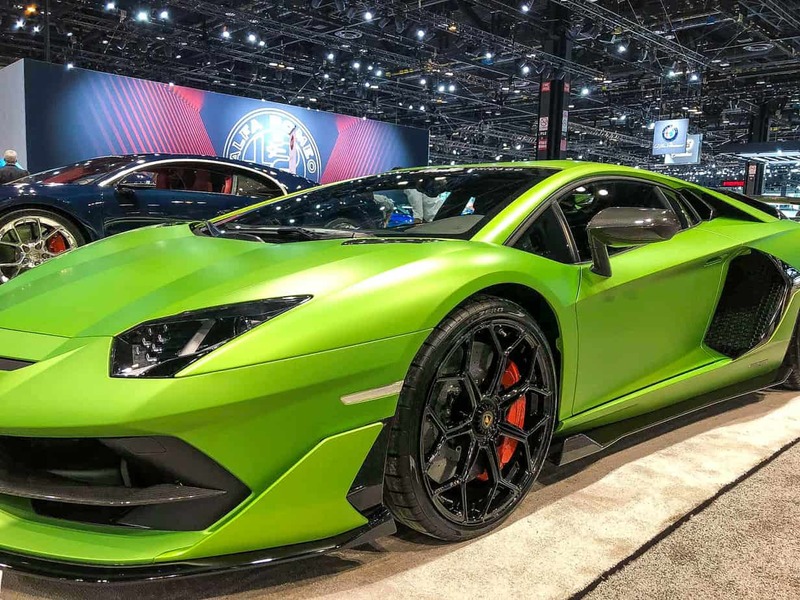 I had a fantastic time previewing the Chicago Auto Show and drooling over the vehicles. There were clear standouts for sure. I swooned over all of the colorful, fast cars with impressive specs but in the end, I fell in love with the Nissan Envy Camper Van! This van was designed for me! It comes equipped with a refrigerator and freezer, ample storage, kitchen sink, hot water shower, 10-gallon freshwater tank, 5-gallon gray water tank, insulated paneling and floor, pre-wired for solar, and sleeps 4. Above all, it fits in your garage, so there’s no need to worry about RV parking! I’m in love. This van is perfect for campers, travelers, and weekend warriors. Sports Team Pride Day: Monday, Feb. 11. Wear your favorite Illinois team jersey to the show on Sports Team Pride Day and receive $6 off of adult admission. Women’s Day: Tuesday, Feb. 12. Women are offered a discounted ticket at $7. The show will also offer an engaging series of events including panel discussions, workshops and networking opportunities geared towards females. Hopefully, you’ll have the opportunity to visit during the Chicago Auto Show’s 10-day run. Tell me your favorite cars or experiences in the comments! For other Chicago activities click here! I loved watching your stories about the show! I really want to take a trip in that camper van! Thanks Lily! Lol, I’ve been talking Dave everyday about that van…sigh, one day!